The new Electrogas power station, conceived in controversy and delivered two years late, was inaugurated this evening with a promise of cleaner air as the use of heavy fuel oil was consigned to history. 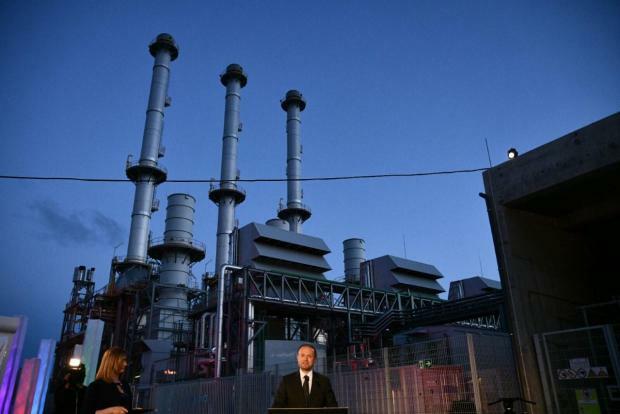 The new power station was inaugurated minutes after the 25-year-old Delimara I power station was switched off. That too had been built amid political controversy in 1992, the controversy at the time being about its location. 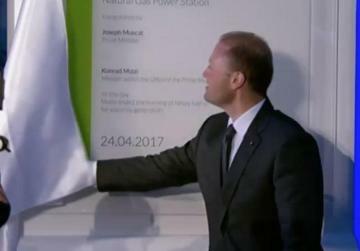 Prime Minister Joseph Muscat switched off the old plant and switched on the new one in the presence of minister Konrad Mizzi. “We are finally closing down a cancer factory and now we are producing clean energy. This comes on the same day when it was announced that the country has a surplus of €100 million,” Dr Muscat told guests. "This was a dream, not a fairytale. A dream for the future of this country. We have closed an ugly chapter of heavy fuel oil, and started a new one of cleaner, safer energy," he said. He said this milestone following the reduction of power tariffs by a quarter, giving a boost to the economy. It also followed an exercise which had seen Enemalta pulled back from the brink of bankruptcy. “Soon the tall chimney, the last symbol of polluting energy, will be pulled down. And soon, sooner than some people think, a gas pipeline will be laid, removing the need for the gas tanker,” Dr Muscat said. He admitted that the project had taken longer than expected to complete, but said that had happened because the government acted in a responsible manner and .wanted to ensure transparency’ and the green light from the European Union. The tall chimney is to be pulled down. He also said there were political obstructions, including by some who tried to use the European institutions for this purpose. But ultimately, he said, a political promise was being realised. He said this was the first time that the private sector was involved in energy generation, and the state guarantee would be lifted in the coming months. Reacting to claims that the power station was not needed, Dr Muscat insisted the new plant was needed for security of supply and to cater for economic growth. As part of the ceremony, two children, Martina and Jake, representing the families of Marsaxlokk and Birzebbuga, turned off the last heavy fuel pump. The Electrogas power station has been built by Siemens, Socar of Azerbaijan and a consortium of Maltese companies. 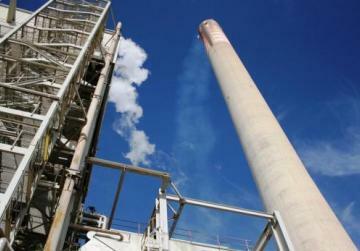 The old power station, Delimara I, will be kept on stand by for a few months and the 150m chimney – the highest structure in Malta – will then be demolished in the coming months. The closure of Delimara I follows the decommissioning last year of the Marsa power station when the interconnector supplying power from Sicily came into operation. Delimara II, using gas oil, will be kept in reserve, with power supply relying on the BWSC plant – known as Delimara III – which has been converted to gas by Shanghai Electric, the new Delimara IV (Electrogas) and the interconnector. The Nationalist Party said the inauguration of the power station marked the inauguration of a monument to corruption. This was not in the interests of the Maltese people. At the same time the government had told a stake in Enemalta for €320 million to Shanghai Electric, and the person it had negotiated with had also had a secret company opened for him by the prime minister's consultant, in the British Virgin Islands.